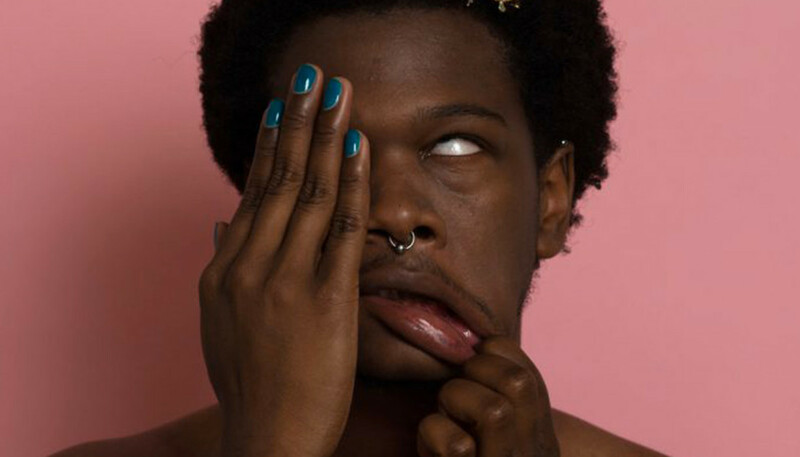 Shamir Bailey shot to fame with 2014’s Northtown EP, before signing with XL Recordings for his acclaimed electro-pop debut, Ratchet. Two years on, he’s done something of a career U-turn, now exploring lo-fi alt-rock with Father Daughter Records. Here the Las Vegas singer-songwriter explains why – after a period feeling like an “accidental pop star” – he’s the happiest he’s ever been musically, and gives us the low down on latest LP Revelations. Oh my god, so much. You’ve recently described yourself as being an “accidental pop star” back then. How so? I think to be a successful pop star, at least nowadays, I feel like there’s a certain set of rules, when it comes to both music-making and your image, that you have to adhere to. And I just really wasn’t interested in doing that. I was trying to strive for quality. And I think a pop star is expected to do one thing and stick to it, and I just couldn’t do that. My ethos was very loose to begin with and I think the more time passes the looser I think it gets. I just strive to make good music. Was there external pressure to be a certain type of musician? Or was it pressure you were putting on yourself? I feel like I was putting pressure on myself, from the pressure from other people. And then I was getting really frustrated at why I wasn’t happy doing a certain thing even though it was relatively harmless, you know? It was making me really down and not happy, and I wasn’t feeling fulfilled. I was just like, I’d rather not be there at all than feel unfulfilled while doing music, which is something I love. If I’m not doing music my way, I might as well not do it all, you know? Did you ever consider quitting music entirely? Multiple times. Multiple times, yeah. That was definitely a low point. And you parted ways with XL Recordings. Was that an amicable split? Yeah. I think I definitely wanted to do something more unique and just something not along the lines of my first release, and that can be a little scary for a label, that kind of change. So I think, honestly, at the end of the day, it was better to be released [from the contract]. That way I can continue to do what I want. I think I would have been a lot more sad if I was stuck in the contract. You released your Hope mixtape back in April. The lo-fi sound is so radically different to Ratchet – was it an exercise in doing exactly the opposite of what you’d done before? Let’s talk about Revelations. When were these songs written? So those were all written less than a month after Hope. A little bit after Hope I had a really bad manic episode with psychosis, and ended up spending time in a psychiatric facility and soon after I had to move back with my family in Las Vegas, and I immediately started writing. I think the writing process was less than two weeks. Yeah, well I had nothing else to do. I had literally nothing else to do. (Laughs) I was just locked in my room all day. So it’s not like anything else was sharing my time. So to some extent was writing these songs part of your recovery process? Definitely. I think it helped me cope a lot. It was a lot to deal with at the time, and the songs were a way to make sense of it, and it was also a way for me to make sense of a lot of things that I was thinking about on Hope too. That’s why I called this album Revelations, because I think that Hope was me searching for hope, and I think in my time writing Revelations I found hope. Stuff like me figuring out my mental health issues and just learning lots about myself, about the world, about the people around me – it was just a whole time of revelations. Like Hope, Revelations is very different musically from your Ratchet. Can you tell us about your musical reference points? I just really like lo-fi music. My favorite band ever in life is Vivian Girls and Beat Happening. I just love the beauty of imperfect music, so I wanted to express that. Even though Hope is a good chunk of work, I definitely wanted to follow-up with something within the same year. I think Revelations rounds out where Hope left off. And I think I was listening to a lot of 90s alternative stuff, which I’ve been really inspired by, but that’s pretty much it. Other than that, inspiration just came from within: whatever came out, came out. “Cloudy” has this wonderful, positive message about letting go of anxiety, and not stressing over things that don’t matter. Was that inspired by your recovery? We enjoyed “90’s Kids” a lot because it feels like you’re sticking two fingers up to baby boomers attacking millennials. Is that a fair summation of the song’s themes? Could you tell us more about “Float” please? It sounds like it’s dealing with some sort of outer-body experience? Yeah, that song is actually about a hallucination I had during my psychosis and it was just a vision of the afterlife or heaven or whatever you want to believe in. It was a positive hallucination, despite everything else that happened in that situation was mostly negative. It involved everyone that I loved in this heavenly place, and so hopefully once I’m done with my life I’m meeting everyone I love at the finish line. It’s definitely one of my favorite songs on the record. What does Revelations mean to you? I know that I produced and played everything on Hope but I feel the same way about this one – I’m just very proud to have been able to play and produce everything. I feel like it’s definitely more personal that way; it feels like a chunk of me that I’m giving to the world. And I think any time an artist can do that without worrying about criticism so much – just trying to convey something – it’s always beautiful to me. 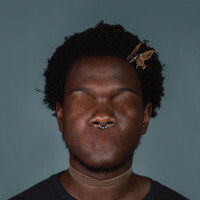 I’m just happy that it’s coming out, professionally, because I was definitely planning on release it like Hope, but Father Daughter Records really came through and they’re amazing. What are your ambitions now, longer-term? I’m keeping on my toes now, so I’m excited for other endeavors like writing and doing more acting – I was in ‘Dear White People’ recently. And I think I’m in a good place right now where it comes to my music where I feel like I can do anything.